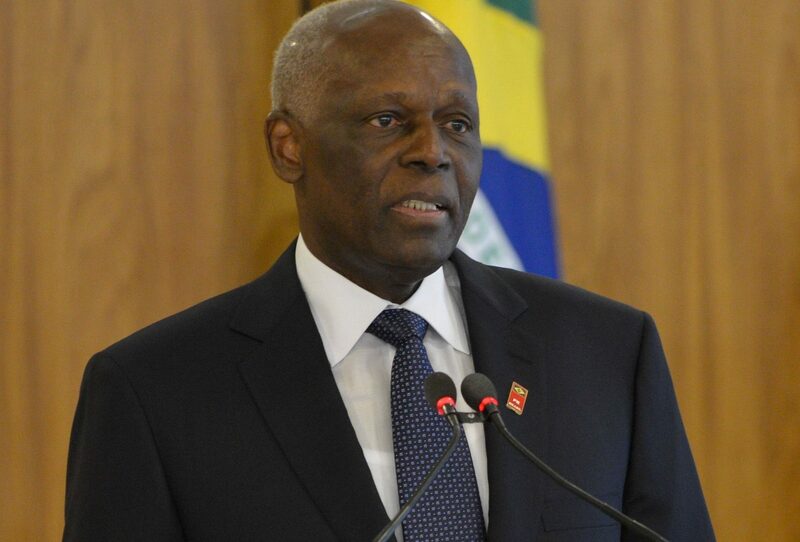 On the 2nd of December of this already late, eventual year news began circulating regarding Angolan President José Eduardo dos Santos’ (JES) possible stepdown from power. With a presidency initiated in 1979, JES is one of the longest serving presidents in the world, counting 37 years in power. Many international media outlets followed the news broken by Rádio Nacional de Angola (Angolan National Radio), Novo Jornal and Expresso, prematurely spinning the story as set in stone, especially considering the amount of times the subject as surfaced and sounded false alarms among scholars, journalists, and observers. This time, the alarm came of a leaked document (possibly a working statement by the MPLA’s Central Committee) from a Central Committee meeting, where JES informed that he would like to see the name of João Lourenço, currently serving as Defence Minister, and Bornito de Sousa, current Minister of Territorial Administration, in the number one and two positions of the MPLA’s running list for the presidential elections of 2017. According to the Angolan Constitution of 2010, instead of direct presidential elections it is the leader of the party that gets more votes that assumes the presidency, essentially allowing the MPLA to produce its own candidate only through legislative elections. Whether or not this is the scenario that sets the succession of JES, who already stated he would leave politics only in 2018, in this post I propose the exercise of very briefly summarising the system of government that whoever succeeds JES is likely to inherit, in an attempt to provide a scholarly informed yet easily readable assessment of the Angolan political system and how it personally fits one’s man rule. Although already underway during the early 1980s, JES’s growing commanding position truly began in the second half of this decade, especially after the second congress of the MPLA in 1985, where he was lauded for his prestige, authority and admiration of militants (Hodges, 2004: 53-54). In his book Angola: Anatomy of an Oil State, Tony Hodges traces many of the politics of the 1990s that worked to strengthen JES’s control of most sectors of Angolan life. Particularly relevant are the constitutional alternations of 1991-92, which confirmed the concentration of power in the presidency, establishing in effect a presidential system of government (55). As Hodges notes, ‘this was partly due to the formal ending of the “leading role” of the party and thus its primacy over the executive organs of the state’ (55-56). In practice, Hodges continues, ‘the president called the shots, since he was constitutionally empowered to appoint and remove governments and their ministers’ (56). The 1990s were indeed a decade when JES achieved two crucial objectives: the shift of the balance of war towards a clear military superiority of the MPLA in the late 1990s; the continuous consolidation of his political power paralleled by the subjugation of the country’s new market economy to his presidency. To achieve this JES had to assure continued support from his party – which won a parliamentary majority in the 1992 elections – and persuade the international community of his legitimacy to rule, since it was Jonas Savimbi who had restarted the war. To do this, he relied on the effects of the continued bipolarisation of politics resulting from the ongoing war with UNITA; dispensed with the office of prime-minister at will, often acting as the effective head of the government and appointing provincial governors, who exercise authority on his behalf in 18 provinces; relied on the strength of the army while building a very powerful security apparatus; cultivated his political base by allowing tens of thousands of urban families to privately hold small businesses and properties for token payments; and adopted certain economic policies, such as large subsidies for fuel, water, and electricity, intended to converse the loyalty of the MPLA’s traditional urban social base (Hodges, 2001: 55-58). With the end of the civil-war in April 2002 and the greatest oil driven economic growth of the world looming ahead, JES found himself in a privileged position to further expand his reach. His post-war presidency nurtured the defining dynamic of Angolan society – dependency – as a form of personal control of political and economic life. By allowing the private sector to ravage state assets, JES created a system whereby those willing to support the regime were given privileges. As Christine Messiant explains, ‘This system of co-optation and “economic reward” is entirely in the hands of the President, who dispenses patronage according to political expediency regardless of whether the recipients of his largesse are members of the party or not’ (…) In this way it is made clear that continued health, welfare and social provisions are intimately tied to the enduring rule of the MPLA and that support for the President is the price to pay for a better life, or the avoidance of a worse life’ (Messiant 2007: 108-114). JES’s legacy, as Messiant summarizes, is the conversion of the political system from a single party dictatorial structure to an authoritarian dispensation adapted to multiparty electoral politics (121). Patrick Chabal wrote in 2007 that ‘the Angolan regime… is in the hands of an all-powerful President who gathers support from a coalition of (political and military) supporters drawn largely from a relatively homogenous social and cultural elite’ (11). More than that, JES has adapted the entire Angolan political system to his own personal views and forms of government. With an opposition that has been out of focus and somewhat irrelevant in society, the next elections will revolve around internal MPLA politics and its list of candidates. Ricardo Soares de Oliveira notes how, besides needing protection for himself and his family to assure their collective stake in the economy, ‘merely in order to consolidate his own patronage structure, a new head of state would have to redistribute privileges away from JES’s core supporters’ (207), effectively making ‘decision-making under a new executive much more fragmented and faction-ridden’, especially since ‘the Angolan elite will not allow the parallel state to survive in its current form’ (208). If João Lourenço is indeed the name put forward to become the next President of Angola, we should not expect this transition to go smoothly. As shown, it may be impossible for any person other than JES to inherit the system he himself created. For better or worse, Angola will soon become a different country than the one we’ve been accustomed to since 2002. Chabal, Patrick and Nuno Vidal (2007) (eds. ), Angola: The Weight of History, London: Hurst Publishers Ltd. The quotes by Patrick Chabal and Christine Messiant refer to chapters published by these authors in this book. Hodges, Tony (2004), Angola: Anatomy of an Oil State, Lysaker: Fridtjof Nansen Institute. Soares de Oliveira, Ricardo (2015), Magnificent and Beggar Land: Angola since the Civil War, London: C. Hurst and Co.
PhD in African Studies (ISCTE-IUL). Master in Nationalism and Ethic Conflict (London Univ.). Undergraduate studies in IR (Univ. Minho). Research interests: citizenship and social and political identities in Angola.